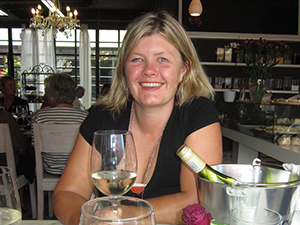 Cape Fusion Tours is my company – it was started about 14 years ago with the intention of venturing into a career that would incorporate all of my passions in life: being able to live in Cape Town, a passion for traveling and meeting people, a love of food & wine, a love of exploring and finding new things and a great enjoyment of afternoons surrounded by good friends, a great meal, delicious wine that matches the mood and lots and lots of laughter. So the trick is how do you turn that into a career and make sure that you just keep having fun? My answer was to a launch a tour operating company in Cape Town where I would introduce visitors to everything that makes us unique and special. During their time with me they would not only fall in love with the Cape, but get to experience our cuisine by tasting it, or making it and meeting our people. As a foodie myself I wanted to offer an insight into our world by offering a fellow foodie the opportunity to experience our way of life. I truly believed that there was very little chance that this little business could work as a long term career and that at some point I would need to return to the corporate world. Fourteen years on we have grown into a little family of like minded people and now have a team of five including me. Our aim is to have fun and to share our love of the Cape. We meet visitors as clients and 99% leave as friends.